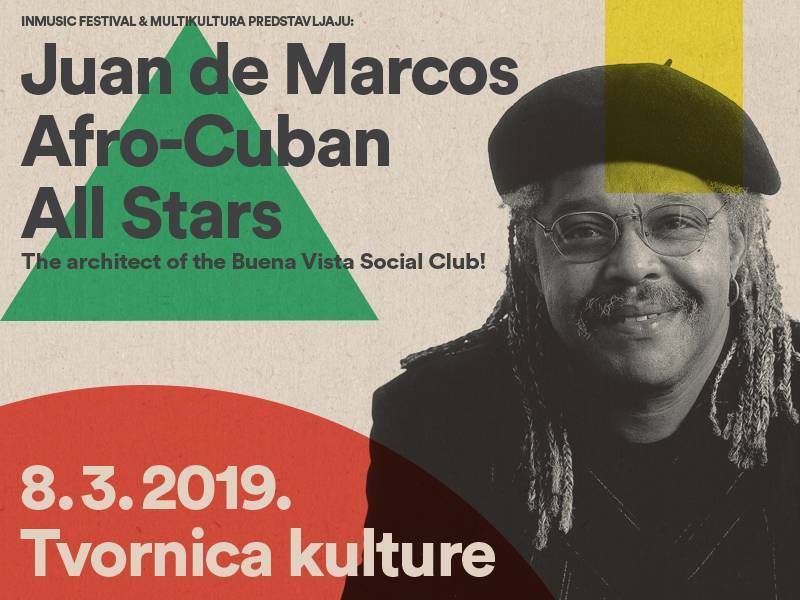 Organised by INmusic festival, on 8 March the Afro- Cuban All Stars Orchestra, which consists of four generations of top Cuban musicians, will perform at the club Culture Factory (Tvornica kulture). If you want to enjoy the rhythms of Cuba, you do not need to plan a trip to this Caribbean country, because the Afro – Cuban All Stars is coming to Zagreb. This excellent band, consisting of four generations of top Cuban musicians, is coming to Croatia as organised by INmusic festival to perform at Culture Factory on 8 March. More than twenty years ago, the band was brought together by the musical director Juan de Marcos González, who in such a way realized a long-harboured dream of forming a group that will connect “the old masters” with new generation of Cuban musicians. He succeeded in this when he met Nick Gold from the label World Circuit. With his contemporary music arrangements and the choice of musicians, he gives musical acclaim to legendary Cuban musicians. In 1997 the band released the album “A Toda Cuba le Gusta”, the first of the excellent trilogy recorded by this record company. What followed are albums “Buena Vista Social Club” and “Introducing… Rubén González”. The Afro-Cuban All Stars Orchestra concerts are sold out worldwide, and now the Zagreb audience will have an opportunity to hear them alive. The tickets are available at the INmusic festival webshop and at the store Dirty Old Shop in Zagreb for the price of 140 kuna (plus transaction fee).